Time is money. It’s an old cliché but it’s true. When it comes to real estate, the sums involved mean that time can be a lot of money, it’s therefore in everyone’s interests that a sale be completed as quickly as possible. With that in mind, here are five tips to make that happen. Wherever you live, you’ll probably have a choice of real-estate agencies in your neighborhood, plus their online counterparts, plus the option of selling without an agent. This is one situation where it is definitely worth paying for a quality service, even in a red-hot property market. One key sign of a good realtor is that they give you a realistic idea of what your property is worth and will be happy to explain clearly and without jargon, how they came to that conclusion. Valuing property is part art, part science and part experience, so you can expect some variation in pricing even from high-quality agents, the important point is that your realtor is capable of explaining their thought process in simple terms. Another sign of a good realtor is that they know the local area well and are familiar with any developments which could potentially influence the price of your home. You can actually start the process of preparing your home for sale before you pick your real-estate agent since the basics of it are essentially the same regardless of your particular situation. Basically, clean your home until it gleams and repair, restore, revamp and update, affordably. In other words, forget making major changes, such as putting in a new kitchen or bathroom and take care of the details which can make the difference, like putting new hardware on your kitchen cabinets and/or a new shower head in your bathroom. By all means, if you want to create an album of your home looking at its best to preserve the memory of it before you move, then you can certainly do so, but these pictures are for you not for marketing your home. Your marketing photos have to sell, which means they need to make your home look at its absolute best and therefore have to be taken post-staging. As with your choice of real-estate agency, it’s worth paying for top-quality photographs to be taken. An experienced real-estate photographer will know how to present your home in the best possible light (literally and metaphorically) without crossing into the realms of misrepresentation, also known as over-promising and under-delivering. Basically, you want the photos to portray your home looking at its absolute, real-life best neither more nor less. While there are stories about homes selling, literally, as soon as they hit the market (and some of them may well be true), the reality is that you should probably assume that your home is going to be on the market for up to a couple of months. For the record, homes can stay on the market for much longer than this, but when this is the case there tend to be issues hindering the sale, most of which ultimately boil down to unrealistic valuations given the characteristics of the house and the condition of the market. This is why the number one tip for a faster home sale was to pick the best real-estate agency in your area and to be guided by them as to a realistic valuation. Basically the best staging and marketing in the world is highly unlikely to overcome a price which is simply too high for what is on offer in the market conditions at the time of sale. What it can do is get you the maximum feasible price in the minimum time. It can, however, only do that if you can maintain the home in its staged condition for as long as it takes to sell or, as a minimum, be prepared to get it that way at very short notice. The best way to achieve this is to have a routine process to take care of cleaning and maintenance and the tools on hand to give a quick clean and declutter almost instantly. This is why (attractive) closed storage can be so very valuable during the sales period. Basically, stage everything your home has to offer as well as the actual physical property itself. You can do this by creating a folder of relevant information (preferably with as many good pictures as possible) to show people who come to view your home. Here are three points which will typically interest most people to some degree. Neighbors and community/safety – If you have great neighbors who’re likely to stick around for a while, make a point of mentioning them. You could even try to make some introductions (this can be very reassuring). Likewise, no matter where you live it’s definitely worth highlighting anything which demonstrates that anyone who buys your home will live in a friendly local community and can expect to be safe. 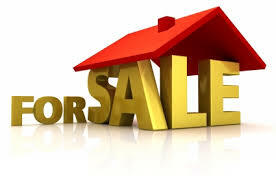 Local facilities and amenities – Think about who is likely to be interested in buying your home. If your likely buyer is a couple with children, then their key priorities are probably going to be good schools, parks and sports grounds and activities for their children, on the other hand, if you’re selling a bachelor(ette) pad, then you probably want to emphasize theaters, cinemas, restaurants and such like. See if you can find any information on ways for potential buyers to enjoy these facilities more affordably, for example are there any discount schemes for local residents. Transport links – Where can you park in relation to the key facilities and amenities? What sort of other transport facilities are available, where can you get them, how often do they run and to where?